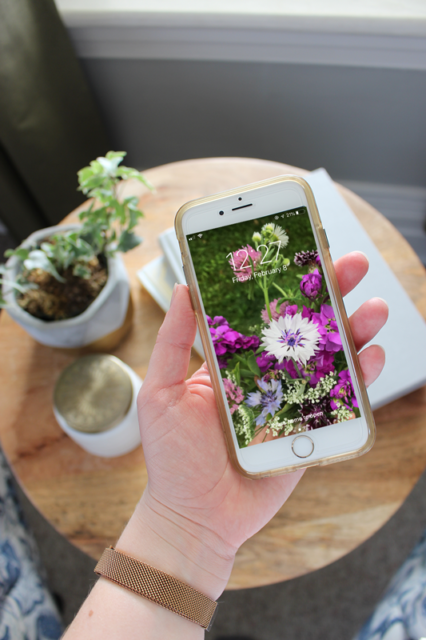 I’m always trying to find ways to keep our home organized and there is one seemingly small area that almost all of us can improve – our smart phones! With two businesses to run, keeping in touch with family and friends, and taking a ridiculous number of photos of our kids, my phone gets picked up many times throughout the day. I try my best to limit how much I’m on it when the kids are up, which means it needs to be well organized so that I can do what I need to do and then move on with our day. 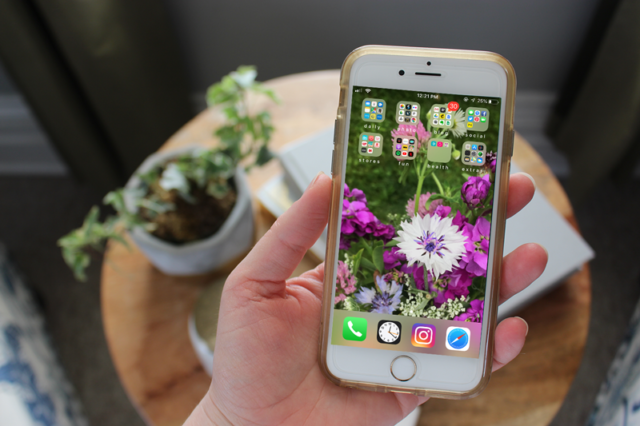 I’m sharing my tips and tricks to help you manage your phone – keeping it organized, functional and less stressful! We all download apps and then over time we don’t use them or our needs change. On a regular basis, go through your apps and delete any that you don’t use regularly. You can always download them again if you need them. Next, I like to group all my apps into folders to make it less cluttered on the screen AND easier to find exactly what I’m looking for. I started organizing my phone like this almost four years ago, after reading a post by Jones Design Co. and now I’m hooked. daily – Those ones I go for every day or are part of our smart home features, such as email, weather, calculator, notes, maps, etc. 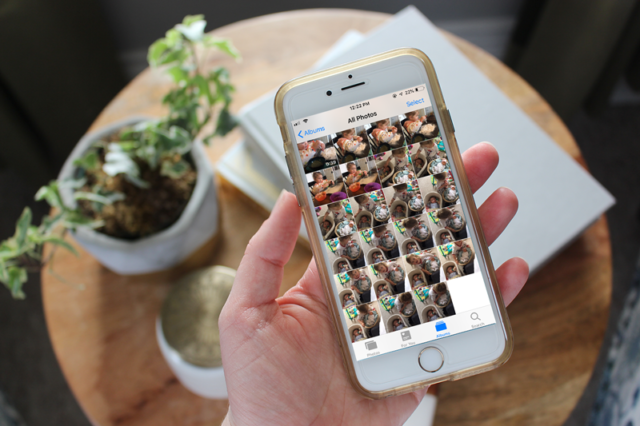 photo – I love to edit my photos using a variety of apps, so I keep them all in here, including the camera and photo library app. If I want to pull up my camera, I always just use the swipe up feature to open it. 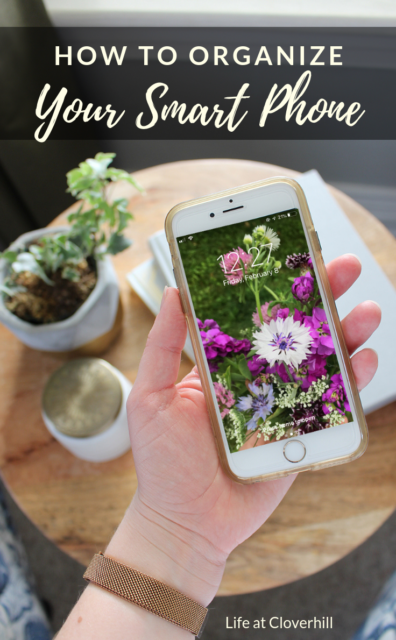 blog – So much of my blog business is run through my phone on the go, so I keep everything in here to make it easier to get some work done on the fly. 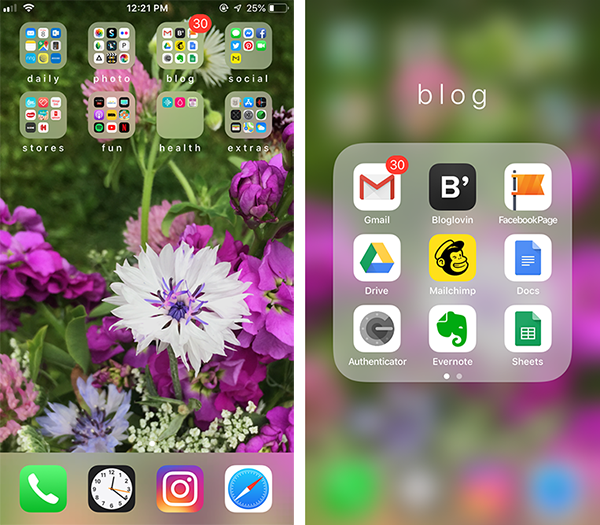 I pop all those work related apps for email, Facebook, newsletters, my google drive, Evernote and even my Bloglovin’ reader to see what my fellow bloggers are up to. social – Most of my social media apps are in here. It houses different messenger services and networking apps, along with my favourite late night rabbit hole…Pinterest! stores – Almost every store and brand we use has an app now, but I try to keep just the top 8-10 in here. The ones that we use for collecting points, checking flyers or storing membership cards. When I’m heading out to shop, I know exactly where everything is in my phone. fun – This is where all the movie, TV and music apps live, along with the occasional game. Right now I’m digging Wordscapes! health – Any fitness apps and health trackers, along with my Fitbit app too. extras – This is the junk drawer of my phone. All the mandatory Apple apps I don’t use live here, along with settings and the app store. Between taking pictures of the kids, the flower field and doing Instagram stories, my photo album fills up quickly. I do have my photos optimized to save to the cloud and clear up space, but I also like to keep on top of them daily. At the end of each day, I go through and delete duplicates, keeping just my favourites. When I’m really on my game, at the end of each month I export them to an external hard drive with photos saved for the girls when they’re older – almost like a digital baby book. There are so many other hidden areas where our phones store information that can take up valuable space. I regularly go through my phone and delete text threads I don’t need anymore, photos that are saved in conversations, podcasts/audiobooks I’ve already listened to, old contacts and even bookmarks in my browser. It’s so easy to open up a notification, then forget that you’ve read it and not respond. I try to resist opening them up unless I know I can actually read them and write back at the same time. If I check something in the middle of making dinner or getting the kids to bed, I can almost guarantee that by the time I sit down in the evening I will have completely forgotten about it. And without that notification there to remind me, I’ll probably not notice it for at least a day. 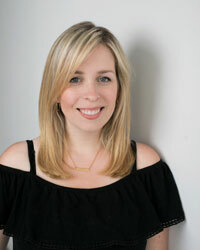 I’ve recently shifted to checking emails and messages three times a day – in the morning while I’m having a cup of tea and it’s quiet, in the middle of the day while the kids are napping and after their bedtime when I can sit down and focus on thoughtful responses back. This also helps me stop being on the phone in front of them. I want them to see us having interactions human-to-human rather than human-to-device as much as I can. Occasionally things come up that I need to respond to urgently, but for the most part I’m trying to limit myself to this three-times-a-day rule. I use the same method with my work emails and it’s very helpful in not only keeping on top of emails and responding to them in a timely manner, but also letting the times that I need to focus on another task not be constantly interrupted with notifications. iCalendar – I sort my calendar entries into ones for the blog business, the flower business, our family calendar and then my personal one with reminders of upcoming tasks. Evernote – I just recently got into this app and it’s been so invaluable for keeping track of to-do lists, travel plans and goal setting. Again, I organize it by businesses, family and personal. Flipp – I use this to read local store flyers, make grocery lists and share lists with others. Google Drive / Dropbox – I’m often sharing documents and pictures with collaborators, or need to reference something on the fly. Stocards – All my frequent shopper cards and point cards for various stores are scanned in here. This not only saves space in my wallet but also time when I need to bring one up. « His & Hers Valentine’s Gift Idea – JORD Wood Watch Giveaway!